Fast Food Trays Are Used For Serving Foods And Beverages In Restaurants, Schools, Buffets, Cafeterias And Other Foodservice Applications. 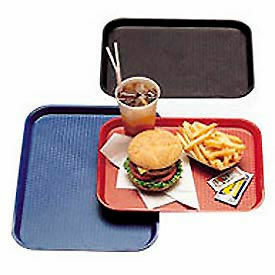 Fast Food Trays are made of polypropylene for long lasting use and dependability. Variety of styles, brands and sizes available to meet food service serving requirements. Textured, slip-resistant surfaces allow for spill-free transportation. Dishwasher safe. Other serving and storage equipment also available. Shape is Rectangle. Color finishes are Black, Blue, Blush, Brown, Burgundy, Cranberry, Desert Tan, Gray, Green, Light Peach, Navy Blue, Orange, Peal Gray Primrose Yellow, Red, Sherwood Green and Teal. Lengths, widths and quantities vary per style and brand. Fiberglass Trays Are Designed For Drying, Soaking, Cleaning, Storage And Spill Containment In Conveyor And Assembly Applications. Fiberglass Trays are resistant to detergents, mild acids and alkaline, and most chemicals for easy cleaning and long lasting durability. 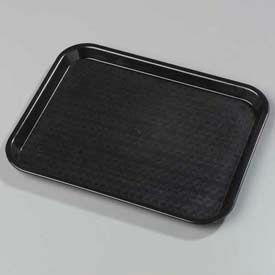 Trays have a temperature range from -60°F to 300°F with a 300 lb. capacity to withstand use in industrial or foodservice environments. Colors are Gray, Green, and White. Dimensions vary per model. 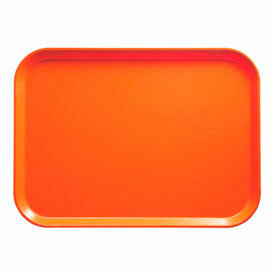 Food Service Trays Offer Unparalleled Economy with Durability. 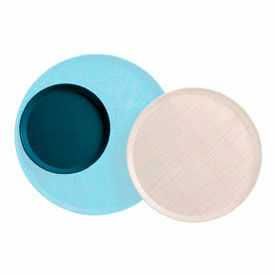 These trays feature fiberglass construction with aluminum rim reinforcements that eliminate wrapping and cracking. 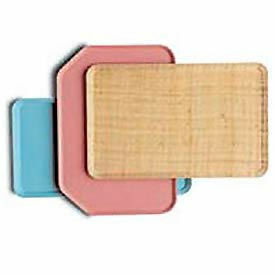 Large stacking lugs keep trays separated and balanced for easy handling. Designed with Dri-Stak separators allow air circulation for quick drying. Standard rectangular design and sturdy construction make it a great option for correctional facilities. Service Trays Featuring Standard Rectangular Design Are The Perfect Selection For Restaurants, Cafeterias, Cafes, Hotel Room Service, Healthcare And School Establishments. Attractive appearance, and durable construction allowed these trays to become the industry standard. High-impact fiberglass construction with aluminum reinforced edges helps. Performs in even the most demanding service environments. The unique Dri-Stak design allows trays to stack but remain separated for quick drying. Stain, odor and stratch resistant. Available in a wide selection of sizes and colors. Attractive Appearance, And Durable Construction Allowed These Trays To Become The Industry Standard. Service trays featuring standard design are the perfect selection for restaurants, cafeterias, cafes, hotel room service, healthcare and school establishments. High-impact fiberglass construction with aluminum reinforced edges helps. Performs in even the most demanding service environments. The unique Dri-Stak design allows trays to stack but remain separated for quick drying. Stain, odor and scratch resistant. Available in a wide selection of sizes, shaped and colors. Service Trays Featuring Oval Design Are The Perfect Selection For Serving Dinners, Banquets, Parties And Other Large Gatherings. 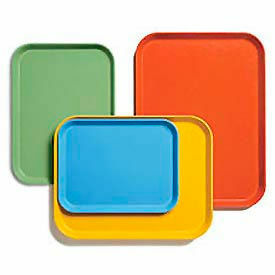 Attractive appearance, and durable construction allowed these trays to become the industry standard. High-impact fiberglass construction with aluminum reinforced edges helps. Performs in even the most demanding service environments. The unique Dri-Stak design allows trays to stack but remain separated for quick drying. Stain, odor and stratch resistant. Available in a wide selection of sizes, shaped and colors. 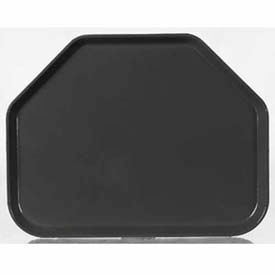 Service trays featuring round design are the perfect selection for restaurants, cafeterias, cafes, hotel room service, healthcare and school establishments. High-impact fiberglass construction with aluminum reinforced edges helps. Performs in even the most demanding service environments. The unique Dri-Stak design allows trays to stack but remain separated for quick drying. Stain, odor and scratch resistant. Available in a wide selection of sizes and colors. Service Tray Inserts Add Dietary Compartments To Any Standard Service Tray. 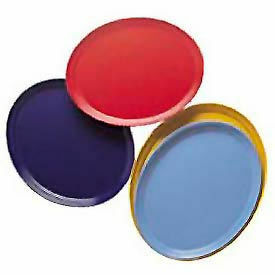 Attractive appearance, durable construction and a wide selection of sizes, shaped and colors allowed this tray to become the industry standard. This insert is specifically designed to separate hot and cold foods. 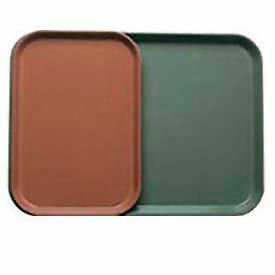 These trays are used for dietary programs and for small portions. High-impact fiberglass construction with aluminum reinforced edges helps. Trays perform in even the most demanding service environments. The unique Dri-Stak design allows trays to stack but remain separated for quick drying. Stain, odor and scratch resistant. Service trays featuring standard rectangular design are the perfect selection for restaurants, cafeterias, cafes, hotel room service, healthcare and school establishments. High-impact fiberglass construction with aluminum reinforced edges helps. Performs in even the most demanding service environments. The unique Dri-Stak design allows trays to stack but remain separated for quick drying. Stain, odor and scratch resistant. Available in a wide selection of sizes and colors. Camwear® Polycarbonate Service Trays Are Used For Use In Correctional Facilities Or Other Heavy Duty Service Environments. Camwear® Polycarbonate Service Trays are made of heavy-duty polycarbonate construction for long lasting durability and dependability. Large stacking lugs keep trays separated for easy handling. Exclusively designed Dri-Stak separators allow air circulation for quick drying. Used for use in the most demanding service environments.33 cm length,Rectangular and Trapezoid shaped trays are available in12, 14 and 15 inch lengths,16, 18 and 20 inch widths andBlue, Beige and White colors. Sold in package quantities of 12. Carlisle Food Service Trays Are Used Displaying And Transporting Food And Beverages In A Variety Of Service Applications. 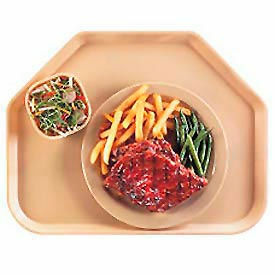 Carlisle Food Service Trays are made of sturdy materials for long lasting durability. Features a break-resistant construction for greater reliability. Offers a special stacking design for easy storage and portability. BPA-free for added safety and protection. Dishwasher-safe for enhanced versatility. Simple to clean. Available in a variety of colors, shapes and sizes. Dimensions and package quantities vary per model. Carlisle Food and Beverage Serving Trays Are Economical, Efficient And Sanitary For Restaurants, Hotels And Catering Facilities. Carlisle Food and Beverage Serving Trays are crafted with metal reinforcement rods that eliminate warping and maintain long lasting durability. The Griptite™ Tray prevents slipping of glasses and dinnerware. A rubber liner is permanently bonded to the tray, covering the sidewall and tray top to provide extra grip. 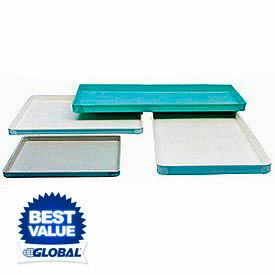 Glasteel™ Solid Trays are dishwasher safe and NSF Listed with a Five Year Guarantee against breakage under normal use. 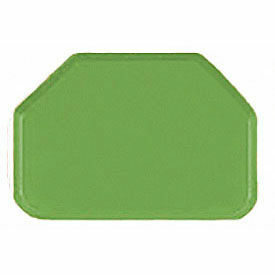 The stain and odor resistant trays are available in Trapezoid and Oval. Cases of 6 and 12 come in Black, Toffee and Tan.